River Glen - Great location & walking distance to pool, dining & more. MLS#21630404. Keller Williams Indy Metro NE. Woodberry - Upstairs has 3 huge bedrooms, spacious loft area and Den * Master boast huge closet and deep garden tub, * Main floor has Large Great room w/cozy stacked stone fireplace * Large open kitchen with breakfast area and pantry includes all stainless appliances * Washer and Dryer included * Fenced backyard has paver patio and play set * Home is close to walking trails shopping and schools * Easy to show and move in ready! MLS#21631144. F.C. Tucker Company. 3-car garage, wooded lot and deeded boat dock with lift make this home a 10!!! ! MLS#21630921. F.C. Tucker Company. Quaker Ridge - Stunning finished basement w/ large professionally built bar, theater area, 4th bedroom, full bath, storage room! MLS#21628958. ERA Real Estate Links. Walnut Hills - The 2200 SF basement has a dedicated Theater room, Bar, Main Entertaining Area, tiled full Bath, &has 9 ft ceilings, F/P, plush carpet w an egress Window; w/ 4 closets & lots of storage. MLS#21631313. The Infinity Grp Realtors, LLC. Spyglass Hill - 3 car garage PLUS workshop space. MLS#21630591. Berkshire Hathaway Home. Avalon Of Fishers - Community Pools, A+ Schools. High desire neighborhood. MLS#21631307. 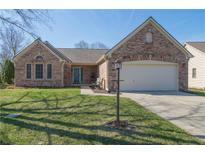 Mentor Listing Realty Inc.
Spyglass Falls - Extra long 2 car garage and all appliances. MLS#21631305. 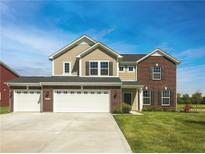 Indiana Real Estate Alliance,. Pleasant View - Great neighborhood amenities with community pool and park. Make this one yours today! MLS#21629443. Trueblood Real Estate. Brendonshire - Great home with highly rated Fishers schools too! MLS#21630950. ERA Real Estate Links. Calumet Farms - Finished basement & 3 car heated garage - you truly can have it all! MLS#21622892. 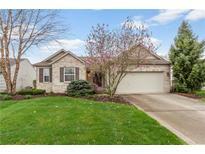 Keller Williams Indpls Metro N.
Avalon Of Fishers - Ideal Location .25 mile from HSE Schools & Close to Restaurants & Shopping. MLS#21630614. Keller Williams Indpls Metro N.
Award-winning schools & all that Fishers has to offer-shopping, restaurants-plus neighborhood pool & tennis! MLS#21630453. F.C. Tucker Company. In addition to this beautiful home, the neighborhood pool and clubhouse are fantastic! MLS#21630698. Keller Williams Indy Metro NE. Sweet Briar - Exterior wood surface repaired/replaced and painted in April 2019. MLS#21631027. Berkshire Hathaway Home. 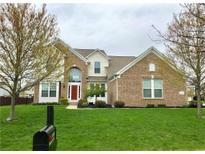 Conveniently located in the heart of Fishers! ! MLS#21630134. Wise Choice Real Estate LLC. Eller Trails - All the bedrooms are well-sized; custom shutter blinds adorn several windows; the paint is neutral, fixtures are modern & you'Lower Level find this home is ready for even the most selective of buyers. MLS#21630794. Carpenter, REALTORS®.